Posted on December 22, 2014 at 12:12 pm. SOCCC-64 (SAVE OUR COMMUNITY CENTER former CHARAS/El BOHIO P.S. 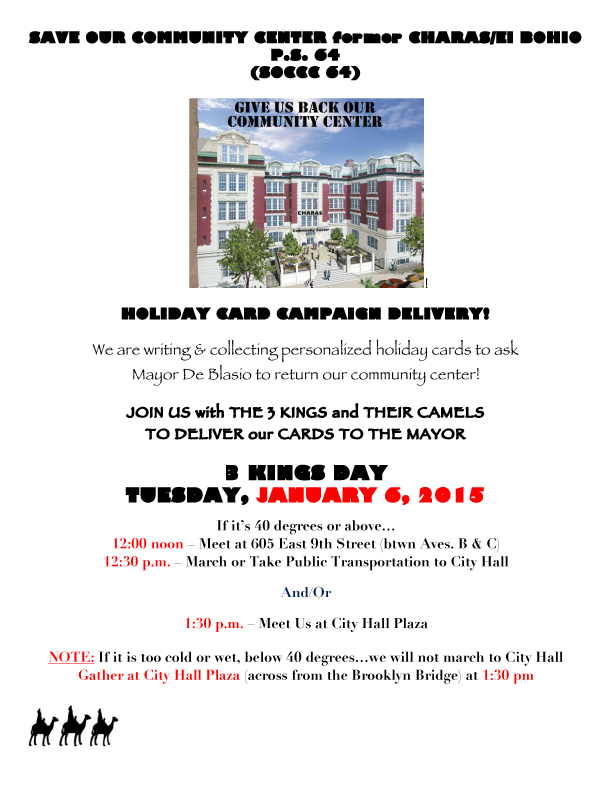 64) is writing & collecting personalized holiday cards to ask Mayor De Blasio to return our community center! Make your own card or use the downloadable template — just add your name and address!